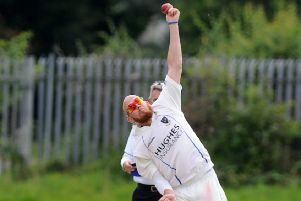 NW Warriors' Stuart Thompson was the best of the Ireland Wolves bowlers, in Sri Lanka. 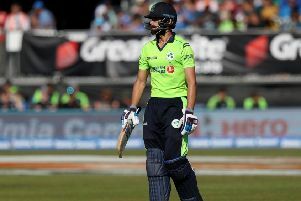 Speaking after the game, Lorcan Tucker said: "I think we played really well with both bat and ball. It was tough in the first innings, the wicket was very good and they batted well, but we held them up nicely and put ourselves in a decent position to go and win the game. About his century and the rest of the series, Tucker added: “It was a long fifty overs there at the start in the field in the heat, then to go out and bat – I tried not to think about it too much, I just batted through it.